Choptank Oyster Company’s Kevin McClarren: My oldest son Jacob used to eat raw oysters, until, one day, he decided he only liked them cooked. So I looked around and threw together a bunch of ingredients that we had at the house at the time. 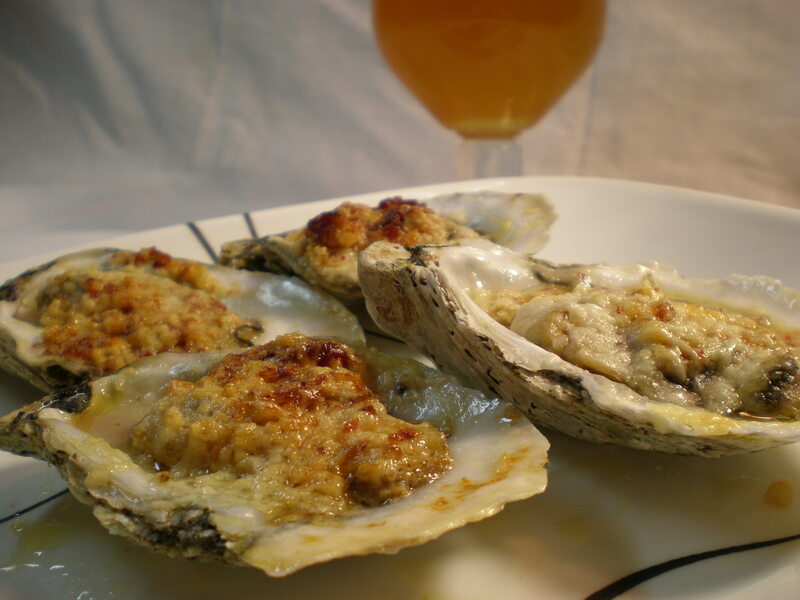 Jake loves Parmesan cheese, so I tossed this recipe together and put the oysters on the grill. Now we still use this recipe regularly, because we always have these ingredients around the kitchen. This recipe was originally posted on our website. Enjoy my Choptank Sweets Parmesano! Mix together: olive oil, garlic, bacon and pepper flakes. Mix in half of the cheese, setting the other half aside. Preheat your oven’s broiler on high. Shuck the oysters, and place them on a baking sheet. Brush the mixture onto each oyster with a basting brush. Sprinkle the remaining Parmesan cheese on top of each oyster. Place under the broiler for 5 minutes until the cheese is bubbly and golden brown.